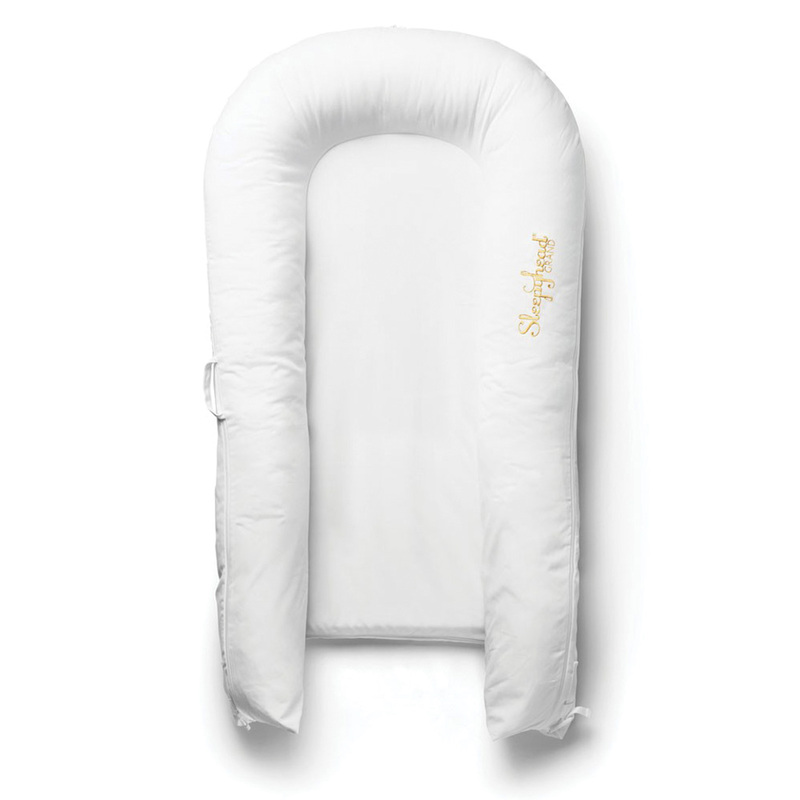 The original Sleepyhead Pristine White Grand Pod is the ultimate multitasking pod for toddlers aged 9-36 months. The Sleepyhead Grand Pods are ideal for toddlers transitioning to their own beds, thanks to its built-in air-permeable bumpers that act as bed rails. Since the pods also fit perfectly in most cribs, they can give little ones a snug sense of security when moving to their new big beds. They are also absolutely wonderful for travel naps, cuddling, playing, lounging, resting and everything in between! The pods are lightweight and portable, allowing for easy travel around the house, at grandma’s, out and about or on vacation. The cover’s stunning on-trend design lets your kid rest in style, while additional covers are available to match your mood and decor.